Tangerine zest is grated fresh into white chocolate ganache then encased in a dark chocolate shell. 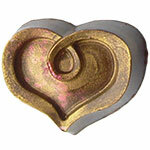 A yellow tinged, white chocolate ganache of saffron threads and turmeric fill a dark chocolate shell. Juicy watermelon in a white chocolate turmeric ganache and a dark chocolate shell. 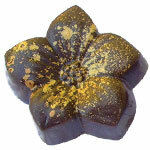 Fresh ginger root and candied ginger compliment a white chocolate turmeric ganache in a dark chocolate shell. 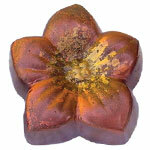 An exotic combination of cinnamon and turmeric ganache in a dark chocolate shell. 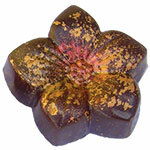 Sicilian pistachio and caramel salted with Fleur de Sel from Brittany, France in a dark chocolate shell. 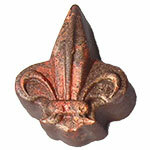 Toasted almond and caramel salted with Fleur de Sel from Brittany, France in a dark chocolate shell. 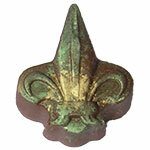 Simply pure caramel salted with Fleur de Sel from Brittany, France in a dark chocolate shell. Dark chocolate filled with a creamy ganache whipped with Sambuca and espresso bean. Dark chocolate filled with a creamy ganache flavored like your favorite Manhattan cocktail. Dark chocolate filled with a creamy ganache whipped with Irish cream rum. 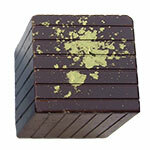 Sicilian pistachio ganache fills a dark chocolate shell. 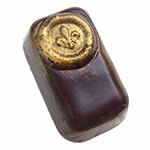 French hazelnut praline ganache is enveloped in a dark chocolate shell. Macadamia makes a velvety ganache which fills a dark chocolate shell. 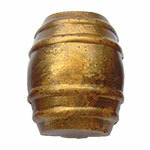 Subtlety sweet almond butter ganache is encased in a dark chocolate shell. 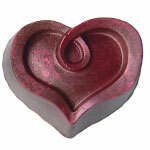 Velvety raspberry ganache fills a dark chocolate shell. Hazelnut praline ganache in a dark chocolate shell. 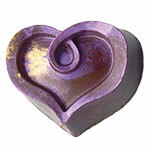 Tart passion fruit fills a dark chocolate shell. Classic coconut ganache in a dark chocolate shell. 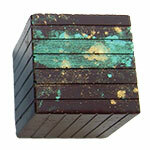 Guava ganache with chocolate nibs encased in dark chocolate. 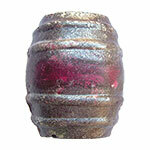 Milk chocolate elderflower ganache with tart cherry in a dark chocolate shell. 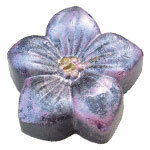 Bordeaux ganache with crystallized rose in a dark chocolate shell. 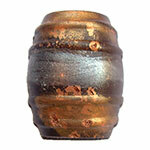 Made with pure bee pollen along with caramel white chocolate ganache sealed in dark chocolate. 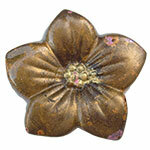 Chef Holly Peterson created her jewel-like FLOURISH Chocolates with an eye on style and quality. Our chocolates are filled with fabulous, unique ingredients known to help you flourish. Hand-crafted in small batches, Chef Peterson takes pride in using only fresh, real ingredients and never adds preservatives. Each beautiful egg has a delicate dark chocolate shell filled with a turmeric white chocolate ganache center combined with a fruit, spice or other favorite flavors. 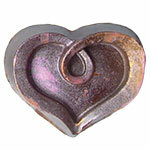 Please enjoy our hand-made chocolates when fresh, within 2 weeks of receiving them. 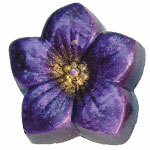 Flourish Chocolates that specifically contain peanuts and tree nuts are identified by their flavor (walnut). 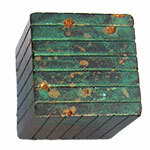 Our chocolates are hand-made in the same kitchen with each flavor crafted in individual batches. 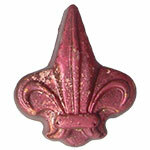 Flourish Chocolates are gluten free. All Flourish Chocolates should be considered to contain dairy. 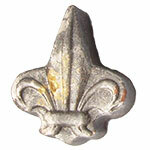 All Flourish Chocolates contain a trace amount of soy lecithin. Our chocolates do not contain egg products. If you are allergic to any substance that can normally be found in confections, then it is likely present in Flourish Chocolates.